Description - Lights, camera, action! 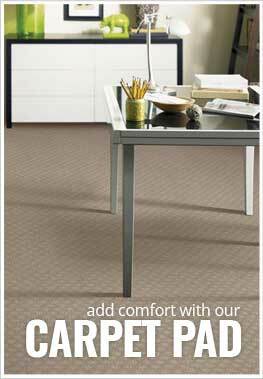 Joy Carpets Feature Film broadloom carpet is the perfect finishing touch to your home theater room. This carpeting is Made in the USA, features a fun and colorful pattern you are sure to love, and is made using Stainmaster Nylon. 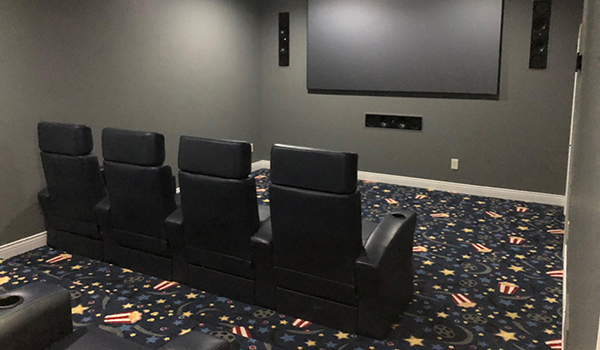 So feel free to sit back, relax, grab some popcorn and enjoy your movie getaway with this new floor. Recommended Uses - Feature Film carpeting is recommended for use in many unique areas in the home as well as in commercial environments. Perfect for home theater rooms, family rooms, game rooms, cinema flooring, and more. Great for home theater rooms. Looks great in my home theater.